Russian President Vladimir Putin arrived at the Hyderabad House here on Friday to attend the 19th India-Russia bilateral annual summit with Prime Minister Narendra Modi. The two leaders are slated to discuss a number of key global and regional issues, including the United States sanctions on Iranian oil. 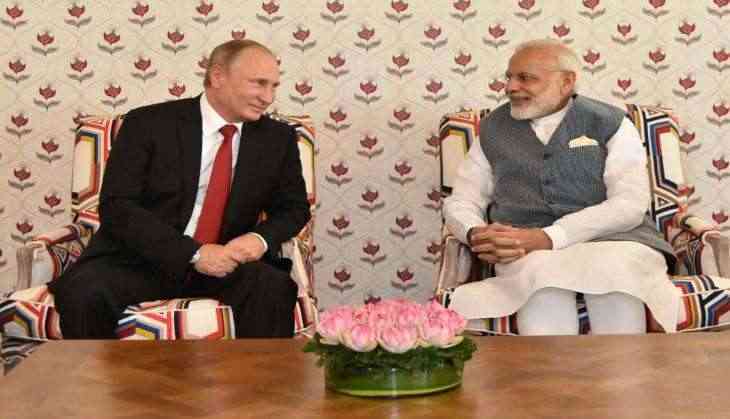 Prime Minister Modi and Putin are likely to sign a deal for Russia's S-400 Triumf air defence system. A number of crucial energy deals are also slated to be signed by the two countries during the bilateral summit. India's state-owned ONGC Videsh Limited (OVL) may also sign a pact with Gazprom, industry sources told Sputnik. OVL already has stakes in three operational projects in Russia. After the meeting, Putin is scheduled to arrive at the ITC Maurya Hotel at 3:30 pm, where the Indo-Russian Business Summit is scheduled to take place. He will also interact with a group of children later in the day. He will then head towards the Rashtrapati Bhawan to meet his Indian counterpart President Ram Nath Kovind.